Ian Bremner (MBA ’67) retired from his professional career as manager of business development with Foster Wheeler E&C in 1999. He is currently enjoying his retirement career as an international service manager with United Airlines. He and his wife, Elizabeth, reside in Houston. Bill Jennings (MBA ’67) retired from LOOP (Louisiana Offshore Oil Port) in 2000 after a 22-year career with the company. At the time of his retirement, Jennings served as vice president of operations and construction, where he managed crude oil tank ship offloading and distribution to refineries. Prior to joining LOOP, Jennings served as an engineer and manager with the Boeing Co., where he worked on projects including Commercial Aircraft, Saturn Apollo Moon Rocket and the Moon Car. He and his wife, Shelby, have four children and five grandchildren. Claude Schlesinger (A&S ’65, MBA ’67) is a partner with Guste, Barnett, Schlesinger, Henderson & Alpaugh in New Orleans, one of the country’s oldest law firms. From 1967 to 1986, Schlesinger worked for the New Orleans Police Department, holding various assignments. As an attorney, he continues to work with the police, representing officers in employment issues and other police matters. Eric Smith (MBA ’67) is a professor of practice at the A. B. Freeman School of Business and associate director of the Tulane Energy Institute. Guy Cannata (MBA ’77) is co-owner of Cannata Corp. Inc.
John Runningen (MBA ’77) is president and CEO of Commenda Capital, a merchant and investment banking firm based in Atlanta. He has two daughters and a 2-year-old grandson. 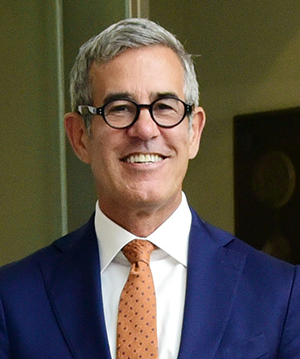 William A. Donius (BSM ’81) has become an owner and joined the board of directors of iSEE Store Innovations, a global design and manufacturing team that solves retail merchandising space challenges, much of it based on selling packaged beverages. Donius is the author of The New York Times best-seller Thought Revolution: How to Unlock Your Inner Genius and an innovation and ideation facilitator. Prior to his current work, he served as chairman and CEO of Pulaski Bank. Barbara Davey (G ’76, MBA ’82) is a senior credit officer at BOK Financial. She is happily married to Bert Davey and her daughter, Emma, is a senior at Oberlin College. Eleanor Foster (MBA ’82) is the owner of Organized Matters, a home, home office and small business organizing company in Savannah, Georgia. Pamela Whitten (BSM ’85) has been named president of Kennesaw State University, the third-largest university in Georgia and one of the 50 largest public institutions in the country. 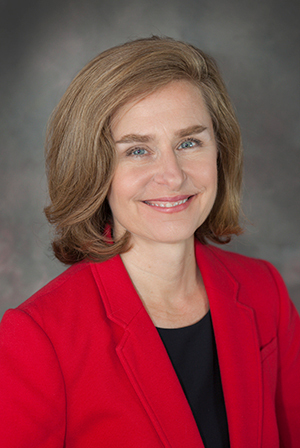 Whitten previously served as senior vice president for academic affairs and provost at the University of Georgia, a position she has held since 2014. As the University of Georgia’s chief academic officer, Whitten oversaw instruction, research, public service and outreach, student affairs and information technology — a portfolio that included 17 schools and colleges with 37,000 undergraduate, graduate and professional students. During her tenure, the University of Georgia hired 56 new faculty to reduce class sizes for undergraduates, increased external research support 37 percent, added 30 endowed chairs and professorships, and increased summer enrollment by 25 percent. The campus also launched a new learning requirement to give undergraduates out-of-classroom experience through internships, research and other forms of experiential learning. In the past three years, the University of Georgia jumped from No. 21 to No. 16 in the U.S. News & World Report ranking of top public universities in the country. Prior to joining the University of Georgia, Whitten served on the faculty of Michigan State University, ultimately becoming dean of the College of Communication Arts and Sciences. Prior to that, she served as director for telemedicine at the University of Kansas Medical Center. company headquartered in San Francisco. Lema serves as partner and representative director at Cylon Capital, a private investment group based in Tokyo. Prior to that, he was president of Asia Pacific at Baxter International, a supplier of medical products for hospitals and home care. Sargent Caldwell (MBA ’87) is president and co-owner of Caldwell Machine & Gear in Mount Pleasant, Texas. He and Maria Blanco (MBA ’87) have been married for 30 years, and the couple have four kids. Richard Levin (BSM ’87) is an independent financial advisor at Mutual Securities Inc. in Los Angeles. Bill Martin (MBA ’87) was recently re-elected to the Greene County Board of Supervisors in Stanardsville, Virginia. He has served on the board since 2013. Martin has worked as a realtor and associate broker with Charlottesville Country Properties Ltd. and Nest Realty. Michelle Smith (BSM ’87) is director of student & academic affairs at the Fletcher School in Charlotte, North Carolina, and a proud mom to three children, two grown daughters and a seventh-grader. 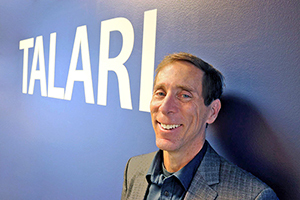 Patrick Sweeney (BSM ’87) has been appointed CEO of Talari Networks, an international tech company with a focus on cloud technology and security. 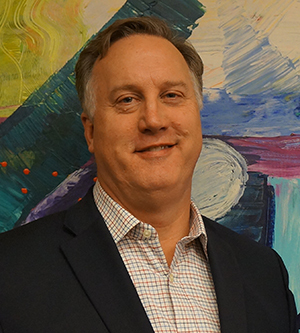 Prior to joining Talari, Sweeney worked as vice president of security marketing for Dell Inc. and as vice president of SonicWALL Inc.
Ralph Wall (BSM ’87) has become a partner at Couhig Partners in New Orleans. Focusing primarily on litigation, Wall also practices administrative law and advises trade associations on antitrust issues. 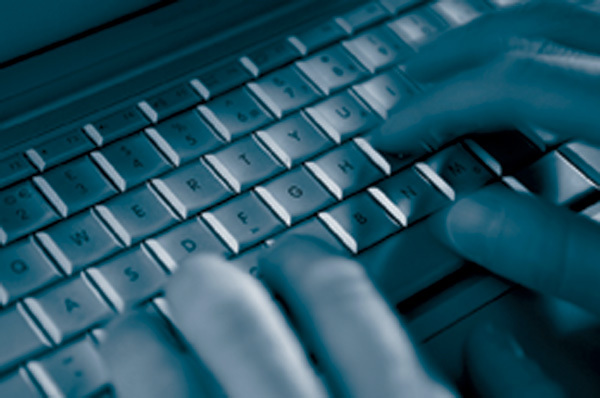 Prior to joining the firm, Wall helped create new insurance products by participating in the creation of various policy forms used in the oil and gas insurance market. Robert Weinmann (MBA ’87) is the owner of Veterans Ford and other automotive dealerships in the New Orleans area. 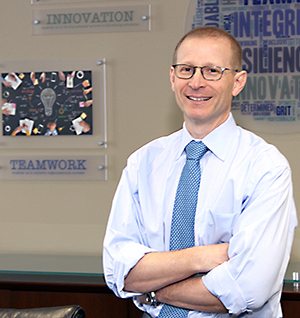 In addition to his auto businesses, Weinmann is manager and majority owner of Rowe Oil Corp. and Veterans Land Co. and serves as vice president of Waverly Oil Corp.
David Weiss (BSM ’88) has been named president of Partsmaster, a large producer in the maintenance and repair industry. Weiss’ responsibilities include developing corporate accounts, supporting Partsmaster’s sales team and growing its consumer brand. Prior to joining the company, Weiss served as president of NCH Corp., an international marketer of maintenance products. James Cross (MBA ’89) has been appointed president of Discovery Harbour, a Toronto Venture Exchangelisted company focused on sourcing, exploring and developing mineral properties in mining-friendly jurisdictions. Prior to joining Discovery Harbour, Cross served as president and CEO of Canadian Gold Resources Ltd., a Canadian gold mining company. E.J. Nedder (BSM ’92) has been appointed chair of the RSM US LLP board of directors. Nedder is RSM’s national tax consulting leader and has been a partner with the firm for 14 years. Prior to working in public accounting, Nedder completed clerkships with the Surrogates Court in New York and the Appellate Tax Board in Massachusetts. Jodi Wechsler (BSM ’95) has become a principal at JW Michaels & Co., a specialized executive search firm serving the recruiting needs of financial services, legal, technology and business institutions. In that role, she will help grow the firm’s accounting and finance practice. Prior to joining JW Michaels, she was managing partner of iFind Group, a boutique executive search firm. Wechsler also worked in public accounting at Goldstein, Golub, Kessler & Co. and later at Tudor Investment Group. PC, a national law firm headquartered in Dallas. Aubert has also worked as an attorney in the Corporate and Securities practice groups at several other national and international firms. Tara Byrd (MBA ’97) has been a medical professional liability claim consultant with CNA Insurance Co. in New Orleans since 2008. University School of Law and a practicing attorney in New Orleans. Jerry Lenaz (MBA ’97) has been named professor of practice and director of the Business and Legal Studies program at Tulane University’s School of Professional Advancement. Lenaz was previously director of business services at the Goldman Sachs 10,000 Small Businesses program at Delgado Community College. He also worked in the telecommunications industry as a business development and product manager, launching new industrial and consumer products and initiatives throughout the Gulf South. New Orleans office and will be a member of its Corporate and Emerging Companies practice groups. Marielba Torres-Delgado (BSM ’97) is a practicing attorney in Memphis, Tennessee. She is married to Guy Delahoussaye (BSM ’97) and the couple have two daughters, Iris and Sofia. 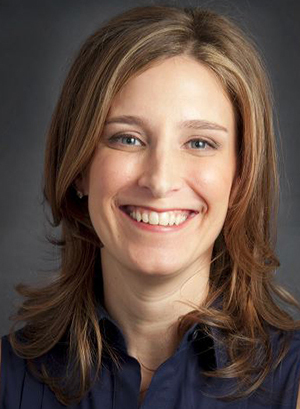 Sarah Joyce (BSM ’98) has been named vice president of client operations at HealthCareSource, a leading provider of talent management solutions in the healthcare industry. Prior to joining the company, Joyce served as vice president of customer experience at NantHealth, and she previously served as managing director of retail management at Blue Cross and Blue Shield of Rhode Island. Nick Loeb (BSM ’98) is the founder of Imagine Partners, an international merchant bank. Prior to founding the company, he founded Loeb’s Crunch, an international CPG firm, and served as managing partner of Carbon Solutions America, an international sustainability consulting firm. Maria Lorena Gutierrez Botero (MMG ’99, PhD ’03) was appointed by Colombian President Juan Manuel Santos to serve as Minister of Commerce, Industry and Tourism. Gutierrez had previously served as Minister of Mines and Energy and, before that, as Minister of the Presidency to former President Nestor Humberto Martinez. Prior to working in government, Gutierrez served as dean of the Faculty of Administration at the University of the Andes. currently a student at Tulane. Monica Malone Murphy (BSM ’02) is relationship manager in the Financial Institutions Group of Santander Investment Securities in New York. She lives with her husband and two young daughters in Westchester County. Andrew Bernd (BSM ’06, MFIN ’07) and Danielle Conte were married in 2017 at 1 Hotel Miami Beach with many Tulane alumni in attendance. The couple has a baby girl, Eva Rose. Bernd is vice president of business development with the Bernd Group in Dunedin, Florida. Kapil Dhingra (BSM ’07) has been named physician-in-chief of the Kaiser Permanente Medical Centers in San Leandro and Fremont, California. He is responsible for guiding the medical operations and staff of the centers. Prior to his appointment, Dhingra held many other leadership positions in the Permanente Medical Group, including medical director of geographic managed care and chief of Medicare and Medicaid services. Liet Le (M ’06, MBA ’07) is a physician with Radiant Dermatology and Aesthetics in Kingwood, Texas. 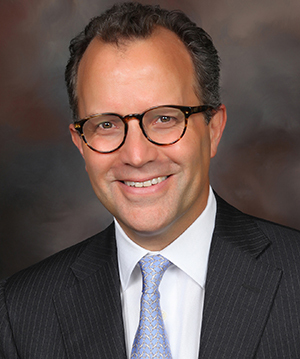 Scott Nunley (MFIN ’07) is vice president of capital markets at HRI Properties in New Orleans. Trent E. Dickey (BSM ’09) has been named vice president of New York City landlord representation at Schuckman Realty Inc. In that role, he is responsible for managing and growing all landlord leasing operations throughout New York City as well as overseeing brokerage teams. Prior to joining Schuckman, Dickey worked at Acadia Realty Trust as a leasing representative for the New York, Boston and Chicago metro areas. Matt Fishman (BSM ’10) is CEO and co-owner of Barking Hound Village, Georgia’s largest dog daycare, grooming and boarding provider. Prior to purchasing the company, Fishman worked as assistant vice president on Voya’s below investment grade private credit group as a lead analyst on new investments and underperforming rates. Blake Downing (MFIN ’12) is controller at McClelland Consulting Engineers in Little Rock, Arkansas. He is engaged to marry Elizabeth Reagan in July 2018. Dan Gordon (MBA ’12) is president of Sebago, a manufacturer of lubricants for automobiles, machinery and heavy duty equipment. Kacy Howard (BSM ’12, MACCT ’13) and Harris Howard (SE ’13) were married in November 2016. The couple resides in Atlanta, where she is a vice president at SunTrust Bank in Private Wealth Management. Danielle Lee (LAS ’07, MBA ’12) and Ben Lee (LAS ’06, MBA ’12) announce the birth of Samuel Aaron Lee in August 2017. Danielle is a co-owner of My House Social, a creative culinary production company based in New Orleans. Jordan Pearson (BSM ’12) graduated from the MBA program at UC Berkeley’s Haas School of Business in May 2017 and recently joined the Business Cloud Finance team at Google. He resides in San Francisco. Margaret Saik (MBA ’12) and her husband, Walker, announce the birth of Ogden Sandoz Saik in August 2017. Megan Walther (MBA ’12) is associate director of customer solutions at Lucid, a New Orleans-based technology company. She lives uptown with her husband, Kyle, and daughter, Blake. Terrence Ryan (BSM ’15) has been promoted to banking officer at Hibernia Bank in New Orleans. Ryan joined the bank in October 2016 as a credit analyst. As a banking officer, Ryan is responsible for working with customers to identify consumer loan products, underwrite, and prepare all loan presentations for commercial and consumer loans. 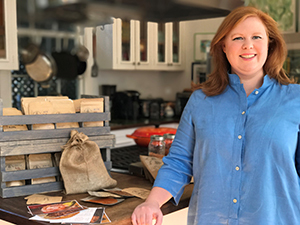 Barkley Rafferty (LA ’11, MBA ’16) is the founder of Royal Merchant Trading Co., a new online and direct-mail supplier of high-quality herbs and spices from around the world. The company specializes in providing home cooks with exotic, hard-to-find spices used by leading chefs, such as Mediterranean Aleppo pepper, Moroccan rosemary and smoked hot Spanish paprika. An avid home cook, Rafferty says the idea grew out of her frustration with the quality and availability of spices at local grocery stores. “If you’re looking for a better quality product, you have to go online or source it internationally, but then you’re often forced to buy in sizes that are too large for the average home cook to use immediately,” Rafferty says. “We’re focused on bringing products to market that are trending and seasonal but not easy to access and sizing them in quantities that are appropriate for the home cook.” Royal Trading currently offers 34 herbs and spices from India, Morocco, Turkey, Spain and other locales and sells them in .5- to 1-ounce double-sealed bags to ensure freshness. The company also offers a monthly subscription service that features a curated selection of spices along with original recipes from restaurant partners such as Gabrielle, Ralph’s on the Park and Saffron, which was recently nominated as Best New Restaurant by the James Beard Foundation. While the company’s products are currently available only online, Rafferty says she hopes to offer her spices in select retail stores by the end of the year. For more information, visit www.royalmerchant.co.